With high peaks, and stunning mountain scenery, Ecuador’s capital city of Quito is known to some as el ciudad de los cielos (the city of the heavens). Situated at over 9,000 feet above sea level and on the bulge of the equator, Quito does indeed seem close to touching the sky. 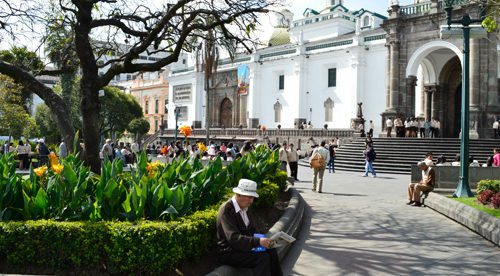 Quito is not just a beautiful location, though, it’s is a fantastic city in which to live and play. If you have a devotion to culture, Quito does not disappoint. There are symphonies, ballets, operas, art exhibits, and culinary festivals to be indulged in. And just walking through the streets of the historic district is a feast for the eyes with cathedrals, churches, and government buildings constructed in a variety of architectural themes. Nature lovers will find plenty to keep them busy as well. Quito has more than 1,000 acres dedicated to parks; many of which offer great hiking or jogging trails, outdoor sports areas, and ponds. For the mountain climbers, there are many nearby peaks which beg to be summited. Or, if you don’t want to leave your own backyard, you can grow thousands of varieties of plants. The good news is that it’s not difficult to relocate to Quito. Ecuador’s immigration laws make it fairly simple to obtain a residence visa and the people are warm and welcoming. Quito offers beautiful scenery, amazing sights to see, but also good-value real estate. The La Paz neighborhood, where you can find good value for less than $250,000, is one area where you’ll find well-kept condo buildings, quaint cafes, and stone churches. It’s quiet and perfect for taking afternoon strolls. On a recent visit here, I found a 1,668-square-foot condo located on the third floor of a security building for $230,000. The two-bedroom, two-bathroom space included extras like wood floors, sliding glass panel doors, and enormous windows, which let in plenty of natural light and a view across the valley of Quito. Just over the ridge behind La Paz, you’ll start to drop into one of Quito’s surrounding valleys. As you descend you’ll find several gated communities. I found a newly constructed, two-bedroom condo with 1,442 square feet of living space and an additional attached 538-square-foot terrace for $236,000. If you stand out on the tiled terraza, and look to the right, you’ll see the high-rises of Quito’s Avenida Gonzalez Suarez looming overhead. Glance to your left and you’ll see the town of Cumbaya spreading through the valley below. With the lovely views and a quiet community, you might choose to stay there yourself. Or you could rent it out at the going price of $1,300 per month and take up residence in Quito’s La Carolina neighborhood where you can easily walk to Parque Carolina, the enormous Quicentro mall, a large grocery store, and plenty of restaurants. A furnished one-bedroom apartment in this area will run between $400 and $600 monthly meaning you’ll make a nice profit of at least $700 per month in rental income. If something with more space appeals to you, then consider heading over to Quito’s northwest side where you’ll find a recently remodeled 2,583-square-foot condo listed at $270,000. The building that houses this condo backs up to a forested hillside and sits at the end of a street, giving a nice air of privacy. A large open kitchen, walled-in patio, and sweeping views of the Quito bowl are just a few of the extras you’ll find here. 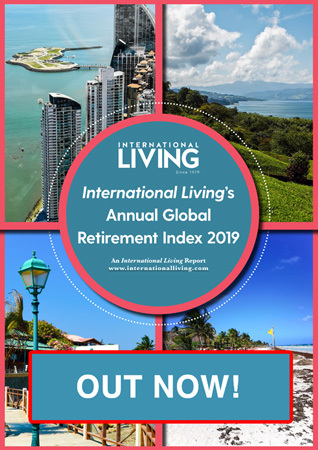 With plenty of options when it comes to buying your own place to live in this heavenly city, Quito has the laidback relaxing life that you‘re looking for…and the good-value real estate to go with it.